Have you read The Swerve? Not directly neuro-relevant, but I’m taking a broad-church approach here, if that isn’t too provocative a metaphor. 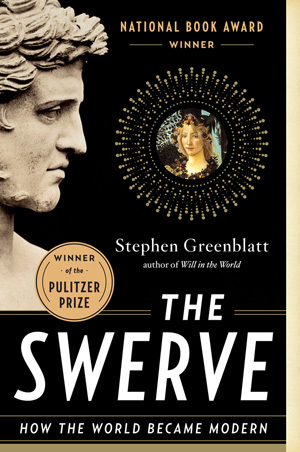 I’ve just finished reading Stephen Greenblatt’s The Swerve – really interesting history of ideas and a great read! It’s about a lost text by a controversial Roman writer, Lucretius, which was almost lost for ever, but amazingly survived to help ignite the Renaissance and the scientific revolution. Greenblatt’s description of the death of the mathematical genius Hypatia made my skin crawl, and he writes beautifully about the text, De Rerum Natura (On the Nature of Things), showing how its ideas are key to the ways physical scientists now think about the world. I was disappointed to finish it because there wasn’t any more. Does anyone know of other, similar books on the history of ideas?